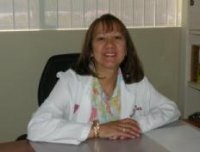 Edivina Gonzales has a BS in Biology from Wayne State University, Michigan and graduated from UERMMMC School of Medicine, Philippines. She did her Internal Medicine residency at Metropolitan Hospital in New York City. She is board certified in Internal Medicine and has been in primary care practice since 1992 and has been in Menifee since 1993. She has 20 years of experience in caring for patients with multiple medical problems like dm, hypertension, heart disease and fibromyalgia. Her main focus is to have patients take an active role in disease management and preventive care. I have the utmost respect for Edivina Gonzales. She has always taken my health very serious, explains, take her time. Always available to speak with if need be per telephone. I feel that office staff is kind and courteous.